My dear friends, I must mention my dear friend Morrissey – the wonderful singer songwriter who is responsible for the song the Vicar in a tutu. The fact of the matter is, Sage says that my implying Desmond Tutu (the freedom fighting Vicar) is partial to wearing a tutu and sliding down the banisters in the said attire can not be true. Sage says that it is a witless unfunny thing to say about the great spiritual man. Just to prove a point I rang my good friend Desi and told him of Sage’s attitude in relation to the implication that Morrissey’s song was written about him. Now, Desmond had said in all honesty that he would love the song to be about him… for he is prone to putting on a tutu and sliding down the banister shouting ‘Jesus loves me!’ while Nelson Mandela catches him at the bottom of the stairs and they giggle like school girls at a Tina Turner concert. Yes, a game of trust if ever I heard one. Especially the fact that Mandela has never been one for keeping secrets. 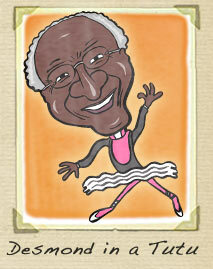 Desmond trusted Nelson not to tell anyone of his tutu fetish but did imply that Winnie Mandela in a tutu is a sight to behold!… a bulge that would make the Lyra clad Linford Christie blush. Desmond also said that he thought that Morrissey had been spying on him whilst he was in full flight. So you see how Sage jumps the gun and judges too harshly and can be very dismissive of people who choose live their life that way…What is the saying? Live free or die? Talking about Sage being dismissive; when I told him of my plan to rid the world of Kim Jong Il and to replace him with the great pacifist, cocaine addict, Norman Wisdom fan and Empire builder Ronnie Corbett he scoffed and said that it was a far fetched and a scurrilous attack on his favored comedian. 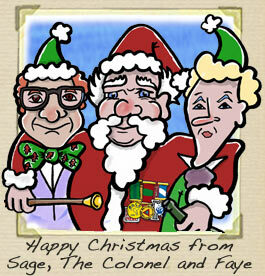 But I say – what the hell does Sage know about MI6 and international security and the films of Norman Wisdom anyway? Piss off Sage. Now coming to the end of these memoirs I would like to add that I have just found out that After Dinner Jab (the president of Iran) and one of my oldest friends has put a price on the head of the master welder that is Dale Winton. Fatwa! Yes, Winton the welder has been found wanting and has been asked to give back the Iranian fertility symbol – the Golden Balls of Iran stolen from their rightful place by Winton and his cronies. Collins and Ramsay? I can’t think of an stranger combination… two big egos in one room. I would like to add that I have just found out that After Dinner Jab and one of my oldest friends has put a price on the head of the master welder that is Dale Winton. Thank you for your article. im going to agree with jj. Ramsay is the biggest ego in the world, and Collins the second biggest. How is that even possible?